Hopefully you’ve been enjoying the adventures of the lions that David Quammen has been writing about in this month’s National Geographic. David writes about the dramatic lives of C-boy and Hildur, two very good-looking male lions that roam the Serengeti, and the challenges that they face as male lions trying to survive in the Serengeti. I was in the car with Ingela that day that the Killers nearly destroyed C-boy — it was one of my first days in Serengeti, and one of the many moments that I fell in love with the dramatic lives of the animals there. There’s a good chance you’ve seen C-boy and Hildur and Killers, as well as all the ladies they’ve been fighting over, in the camera traps. Below is a map of the pride territories overlaid on the Snapshot Serengeti cameras. There are a lot more prides than this, but these are the ones that Nick Nichols and Davide Quammen followed. Jua Kali, where Hildur and C-boy resided in 2009, control just a tiny patch of land in the center of the study area where the Seronera river begins. They spend most of their time in a marshy lowland where those two small tributaries, converge. The marsh has lush grass and standing water, but is just a tiny oasis in the otherwise dry and desolate grassland. It is not the best territory that a lion can have. After C-boy and Hildure were deposed from Jua Kali, they eventually took over the Vumbi pride. It worked out pretty well for them in the end – the Vumbi’s are not only a bigger pride, but maintain control over the Zebra Kopjes, a suite of rocky outcroppings that provide shade, water, and a vantage point to watch for prey across the open plains. Despite C-boy’s brush with death and his inelegant retreat from power, C-boy and Hildur really haven’t done too badly for themselves. 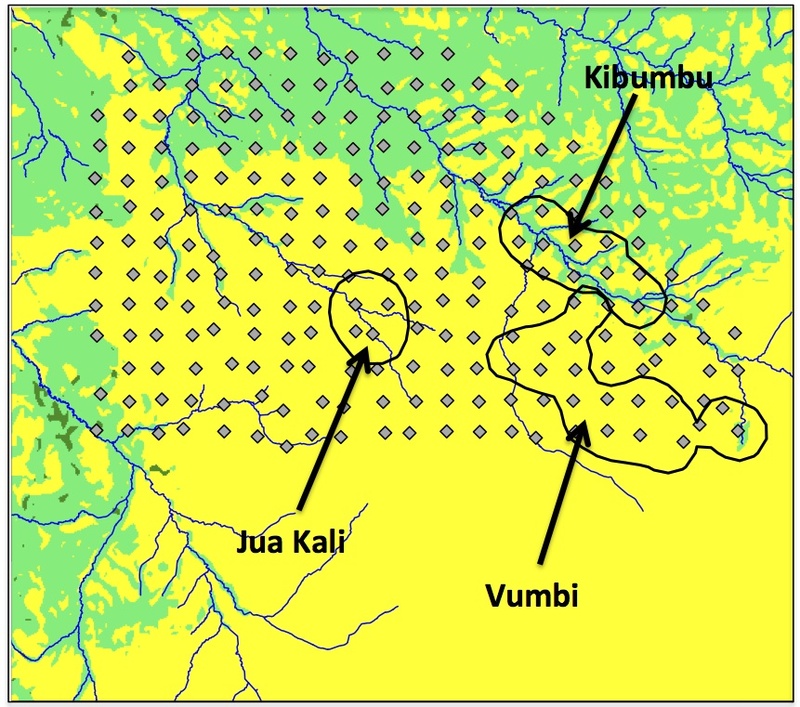 North of Vumbi, the Kibumbu pride ranges along the Ngare Nanyuki river. When David was writing about our lions, the Killers had recently taken over the Kibumbu pride. Unfortunately, the Kibumbu females had had young cubs fathered by the previous coalition; the Killers would have killed these cubs to bring the Kibumbu females into sexual receptivity. Infanticide is a brutal, but natural part of a lion’s life. So there it is. The lions that are gracing the pages of this month’s National Geographic magazine are the same ones that you see yawning, sleeping, and stretching in front of the Snapshot Serengeti camera traps. David’s story, and Nick Nichols’ photos, provide an amazing and detailed dive into their lives. We’re currently raising funds to keep Snapshot Serengeti and the long-term Lion Research Project afloat. Thanks to everyone who has donated so far! 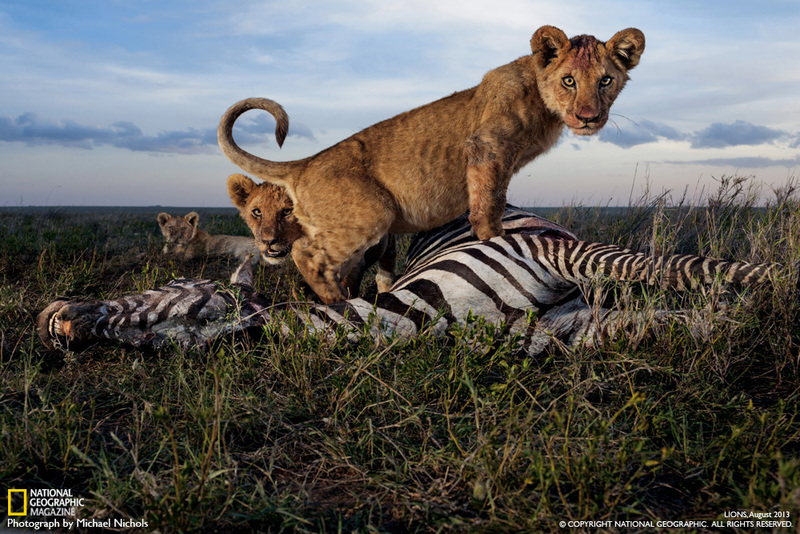 In addition to the main feature story on the Serengeti lions that I wrote about on Wednesday, there are a number of lion extras at National Geographic Magazine, too. The article “Living With Lions” talks about the challenges of lion conservation, and brings up some topics I’ve written about before, including fences and trophy hunting. There’s an interactive map, where you can see the fragmentation of wild lions. 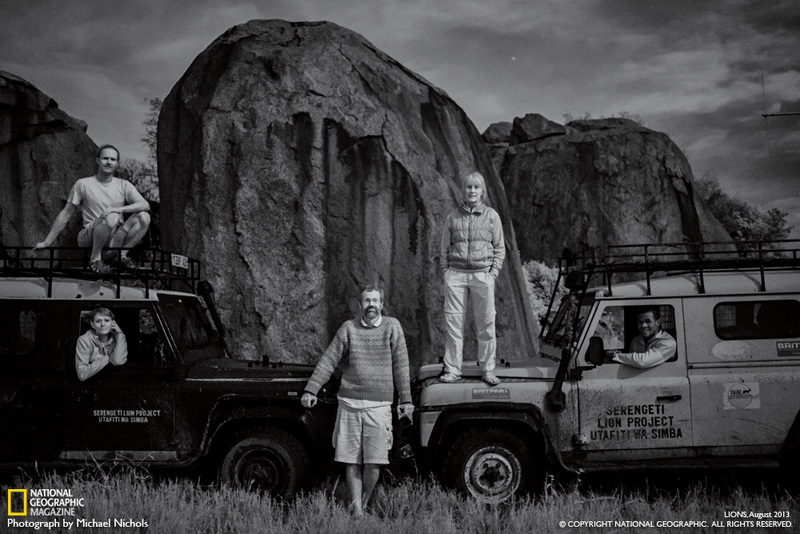 The Serengeti (‘C’ on the map) is one of only a handful of strongholds that contain at least 1,000 lions. And there’s a high-resolution download of this image of Serengeti lion cubs you could use for your desktop background if you wanted. The August edition of National Geographic Magazine has a cover story on the Serengeti lions that Craig has been studying for decades. And because Ali set out the camera trap grid in the same place as Craig’s lion study area, you see the same lions (plus more) on Snapshot Serengeti as those featured in the article. In fact, photographer Michael Nichols was out in the Serengeti during Season 5, so his pictures are contemporaneous with the ones up on Snapshot Serengeti right now. So if you have a moment, go check out “The Short Happy Life of a Serengeti Lion,” which is entertaining and gives a nice history of the foundational research on which the Snapshot Serengeti science rests. And take a gander at the editor’s note, which accompanies this picture.